Visiting Bangladesh Foreign Minister AK Abdul Momen today met his Indian counterpart Sushma Swaraj ahead of the fifth meeting of the India-Bangladesh Joint Consultative Commission (JCC) at Jawahar Bhavan in New Delhi. 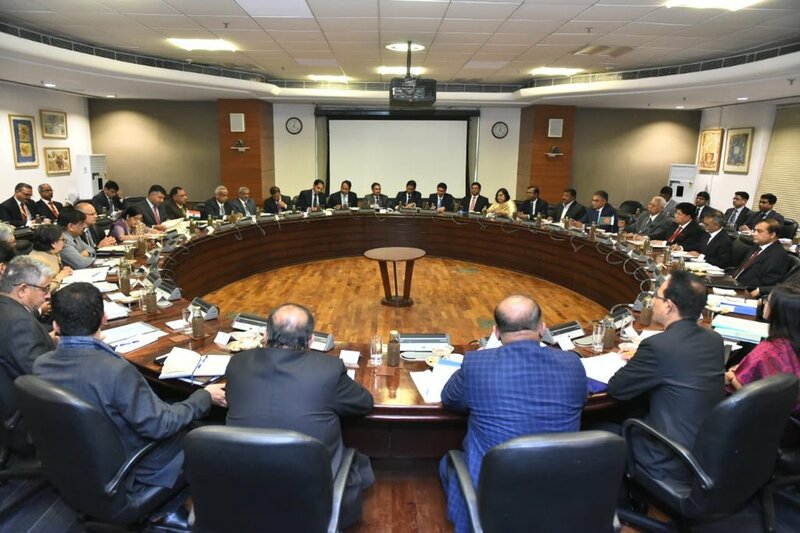 The meeting lasted for about half-an-hour before the two ministers co-chaired the JCC meeting along with their senior officials, reports our New Delhi correspondent. After the JCC meeting, the two countries are expected to ink five memorandums of understandings (MoUs) and a joint statement is also likely to be issued. Earlier yesterday, Momen had called on Indian Prime Minister Narendra Modi and former prime minister Manmohan Singh. Momen went to India on his maiden official tour abroad as the Foreign Minister on Wednesday to attend the fifth JCC meeting, which will review the entire gamut of bilateral relations between Bangladesh and India. Momen is expected to return Dhaka on Saturday.